Why Is ‘Me’ Time So Important? – Want To Love The Body You're In? You might be laughing at the title of today’s blog and be thinking: ‘Ha! What even is ‘Me’ time? You might have a few children, busy with work, busy being a the woman of the house (and everything it entails)…busy just getting through day by day. The only reason you have less me time, then others, is because it is not your PRIORITY. It is not as important as getting the housework done; doing the school run; finishing off an assignment for work; putting the car in the garage…whatever it may be there is always 110 things that can be done before ‘Me’ time even comes into play. Well for some, or for you, it can be that sense of guilt. Guilt that you shouldn’t be putting yourself before others because you’ve spent so many years putting your kids, husband, work colleagues, friends lives in front of your own. For others, it may just be a generous heart, that you genuinely want to have time for everyone and everyone seems to come before you. But what’s the issue with doing that all the time? Well it can lead to anxiousness, fatigue, depression, unable to shift illnesses, general feeling of being run down constantly. There are 24 hours in a day, 168 hours in a week, 730 hours in a month. That’s a lot of time right. In one of those many hours we have, there has got to be one hour, I would hope in a week – where you can go and do something for you. Something to clear your mind and allow you to reset. Once a month I go to Floating Point, Float Centre. It is all kinds of amazing-ness! And I want you to try it too with some discount I’ll mention below (keep reading!)! Hopefully you can see from the pod below what they look like! They’re honestly magical! Floating Point is based in Pangbourne, so around 40 minutes from Basingstoke. In each individual pod is 500kg of Epsom Salts. Yes you heard correct! 500kg! The water is skin temperature and once the pod is closed the whole pod is also skin temperature – so once you’re settled it is impossible to know what part of you is above the water & what is below! So what are some of the benefits of floating in a pod? Every different type of person uses these pods: Academic, Pregnant women, Athletes, Chronic pain sufferers and creative people. 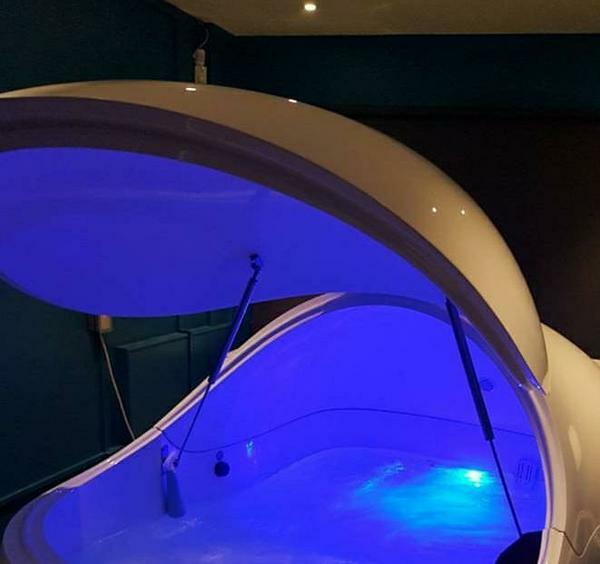 If you would like to try it out for yourself and take just ONE HOUR out of your 168 hour week to yourself, then instead of the full price of £40 for your initial float, by mentioning my name you can get your initial float for only £35 and then 10% off every float you book after that. Honestly, once you float once, you’ll want do it again!